A quinceanera for the record books? If Fabiola Garza had her way, her quinceanera would be as simple and as non-traditional as possible-just two airline tickets to New York City and her best friend in tow. Sadly, things hardly ever go Fabi's way. After mean girl Melodee lays down a quinceanera challenge in front of the entire school, Fabi is forced to upgrade her party plans. Melodee is rich and popular-her quinceanera will be effortlessly epic. Fabi is at a loss as to how to make her party remotely as fun and fabulous as Melodee's is sure to be. 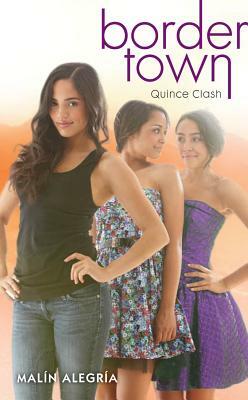 Younger sister Alexis steps in with a scheme to get Fabi on the TV show Quince Dreams-but Fabi isn't convinced she won't end up in a quince nightmare instead.